Even a small leak can waste a significant amount of water over time. A leak of just 10 drops per minute will waste almost 300 gallons in a year. 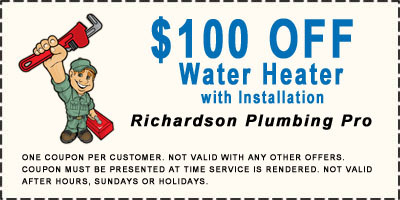 Your Richardson plumber’s goal is to make sure your fixtures are working properly and not wasting water. 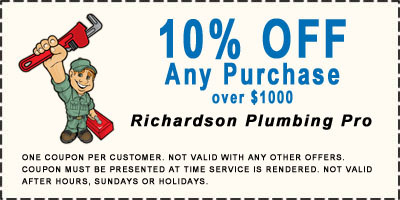 We are experts at Richardson plumbing repair on bath valves, shower valves and faucets. We can repair almost any valve ever made! We also know when it is NOT cost effective to repair a faucet. To keep faucet repairs to a minimum, have your faucet repaired as soon as there are signs of leaking or damage. Waiting to have repairs completed will cause more damage to the faucet making it more costly to repair. Changing faucets and fixtures can transform your kitchen or bath into an entirely new space. From gooseneck faucets that epitomize elegance, to pull out faucets that make life that much easier, there is a faucet to make your space beautiful and make sense. There are many faucet choices to choose from, in size, style and material. We can install any faucet that you would like in your home. Because we are not a dealer and we hold no contracts with any manufacturer we are here to offer our professional opinion on products that may work for you and what you want. In addition, to help you find the faucet that speaks for your space and lifestyle. In other words, Richardson Plumbing Pro does just about everything that involves water, gas or sewer lines and fixtures in your home or business. Our plumbers are prepared to assess the situation, properly diagnose, and professionally educate you as to your best options and best solutions, to every Richardson plumbing issue. And… best of all… fixed fast – the right way. Our techs troubleshoot, repair, replace, or upgrade everything from fixtures to piping. Whatever you need, we are committed to providing you with the very best in quality and value. 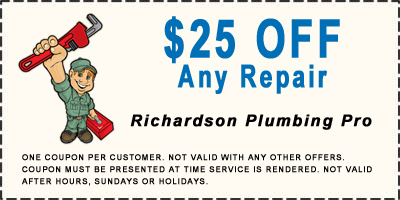 Richardson Plumbing Pro's plumbers compliment our 24/7 services with on-site estimates. We are ready to handle any emergency situation. We provide professional services at affordable rates. 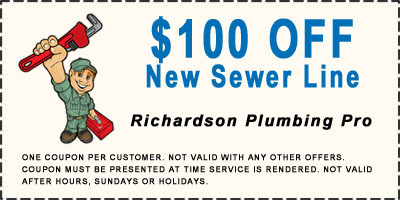 Richardson Plumbing Pro is a name you can rely on for a responsible local plumber. Call us now at 972-546-2974. Q: My bathroom faucet is leaking. Will I need to replace it? A: Not all faucet problems require complete replacement of the entire assembly. In many instances we can make small repairs to the faucet's internal components to stop leaks or other problems. The replacement of small parts such as washers, springs, and cartridges can be a less expensive alternative to complete faucet replacement, sometimes halving the total cost to you. Often times simply repairing the existing faucet will give you many more years of reliable service without incident. No matter what make or model, style or finish, our Richardson plumbers service all faucets and can find almost any part required to complete the job. No matter what make or model, style or finish, our Richardson plumbers service all faucets and can find almost any part required to complete the job. Q: What is a ceramic disc faucet? A: It goes without saying that your new faucet should work without dripping. Trends in designs have improved significantly in just the last decade. Taking the place of rubber washer gaskets are ceramic disc cartridges which last a lifetime. Considered the industry’s hardest, most reliable valve material, single-cartridge and washer-less valve systems use ceramic discs to control water flow and are extremely reliable. Q: Is it a good idea to replace the stops on my fixtures? A: Yes. Anytime you service a Richardson plumbing fixture, such as a toilet or faucet, it is always a good to replace the shut off valve. Most valves deteriorate over time and may fail to completely shut off the water supply in the event of an emergency. The cost of the stop is minimal to having to shut off the water supply to the home. Q: Do anti-scald faucets really work? A: Yes. Most temperature balancing faucets measure and balance water pressure to ensure a constant flow or either cold or hot water. These faucets are especially important in showers that are used by the elderly or young children that may not react quickly to sudden temperature changes. Q: Do water filtering faucets make sense? A: The filtered water industry has grown dramatically over the past several years. If your water quality is poor, a filtering faucet could make sense. Several manufactures make filtering faucets. However, the cost for this convenience may be unnecessary because there are many reasonably priced under sink filters. Whatever course you choose, be sure to shop around for capacity and the cost to replace filters. Our Richardson plumbers are happy to install all water filtration systems. Q: How can I tell if my faucet has a cartridge or stem valve? A: Without removing the actual valve, the easiest way is to open and close the valve at eye level. If the handle moves up and down when opened and closed, then it is a stem valve. 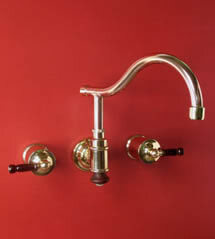 All single handle faucets have cartridge valves.